Allan Ahlberg’s classic book of comic school rhymes has tickled generations of readers. From picking teams to forming gangs, and from friendships to quarrels and excuses, these warm and witty rhymes capture universally familiar experiences from school and childhood. A book to delight every child, and spark dozens of memories in grown-ups! 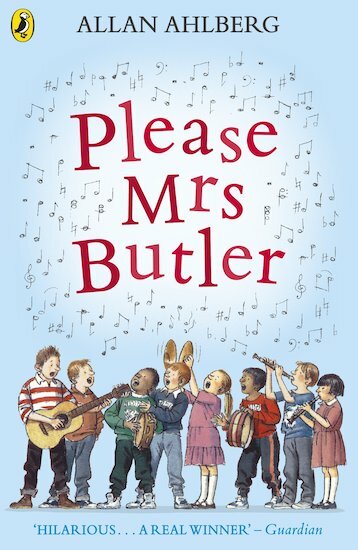 Also available: Read and Respond activities to accompany Please Mrs Butler. I memorized ‘Back to School’ after we learned the poem at school. Even my mum loves it! charming book about primary school life. loved it as a child used to say it too my teachers! Allan Ahlberg is one of Britain’s best-loved children’s writers and is the author of over a hundred books. Allan’s work has been recognised by many of the top awards in children’s books, including The Red House Children’s Book Award for The Jolly Postman, The Man Who Wore All of His Clothes and The Pencil.